What did your day look like? How accomplished do you feel? Are you satisfied with your performance? Are you headed towards where you want to go? What was lacking in your day? Is there anyone you are angry with? Anyone you need to apologize to? What about anyone you got annoyed with…did you get annoyed with anyone because you were inconvenienced? Inconvenienced by your friends children’s behavior? Inconvenienced by how slow and negative the cashier at the grocery was, or what about the driver that rode your behind the entire way home? Were you inconvenienced by a family member’s choices? I ask you these things because these are the kinds of questions I think we all ask ourselves. Our day is flooded with so many distractions that keep us focused either inwardly or outwardly. Distractions that can keep us exhausted, overwhelmed, feeling not good enough, or angry and dissatisfied. So reader, I want to extend you some encouragement because I get it. I get every bit of every kind of feeling out there, but our feelings are not truth. Praise the Lord. Our feelings and our situations, or set of circumstances, do not have the final say. All too often we blame the devil, but a lot of it is our own unrealistic expectations of our self or others. Call it ambitious goals, discipline, legalism, perfectionism, or meticulousness. Regardless of the name, it is all the same. For it is not who we are, or what we do, that is the root of our issues. It is lack of contentment that is fueled by the unbelief in our hearts. The unbelief that God is not for us because how could he be if this is what is happening to me or those around me. Oh how our heart is the incubator of our unbelief if we are not careful. Lord, help our unbelief. 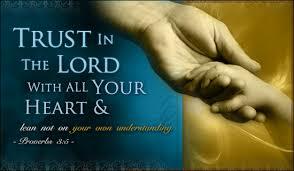 We are called to be still and to faithfully perform the tasks at hand and then to rely upon God for the details. However, for whatever reason we look around at what we don’t have, or can’t do. We look around and then almost instantly we make ourselves little gods. Little gods that think they know all when we only know in part. So reader, for today…know you are not alone. May God strengthen us! May we fall to our knees with a repentant heart asking for God to deal with our unbelief. Please, Lord, deal with our unbelief.